Feel free to contact us with questions or quote inquiries. 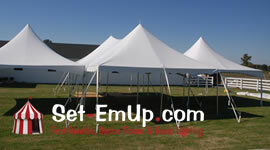 Set-EmUp Tent Rentals is your one-stop-shop when it comes to Tent Rentals, Dance Floors & various basic lighting services. Friendly affordable party rental services serving Nashville and surrounding Middle TN areas. Copyright © 1966-2019 Set-EmUp Tent Rentals, Dance Floors, Basic Lighting in Nashville TN. All rights reserved.